Some stars just can´t get over Halloween. 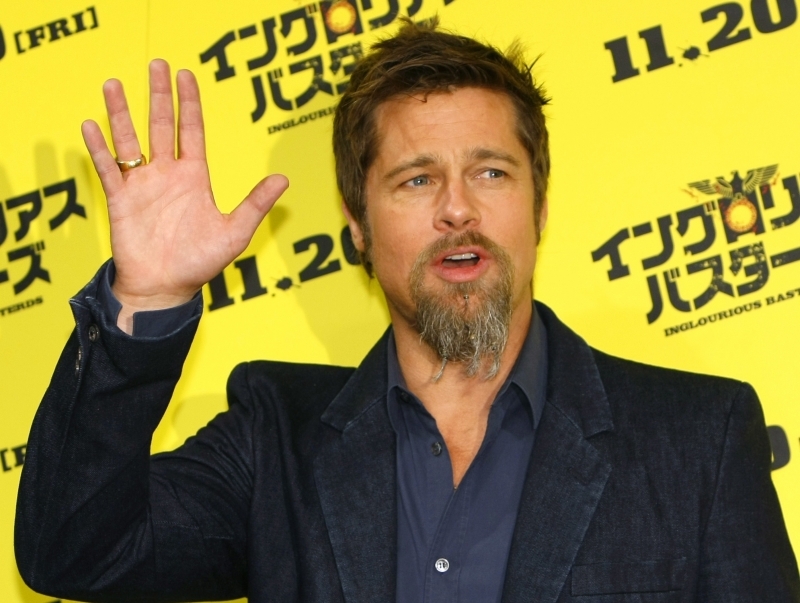 Actor Brad Pitt (45) was spotted in Japan still wearing the metallic beads that adorned his billy-goat beard on Halloween night. Beads leave observers a little confused as to whether the beads were part of Pitt's holiday outfit, a permanent fashion statement, or a remnant from a previous costume idea – perhaps a bit of Johnny Depp from Pirates of the Caribbean? In Japan, Pitt modeled his beard beads arriving at Narita Airport and again while promoting his movie Inglorious Basterds with director Quentin Tarantino.